EghtesadOnline: Modiran Vehicle Manufacturing Company, the joint venture partner of China’s Chery brand, is to launch the Tiggo 3X recently released in China in the Iranian market as MVM X22. The X22, unveiled earlier this year at the Beijing Auto Show in April, is a sports variant of the popular Chery Tiggo 3, already launched in the local market as a Chery and not an MVM. The new crossover is estimated to cost 600 million rials ($17,142) and has been pegged to launch in Q4 of 2016, according to MVM’s press release on October 15. Tiggo 3X will initially only be available with a 106 hp and 1.5 liter gasoline engine, according to Car News China. The engine will be mated to a six-speed CVT gearbox initially, though a 1.2 turbo 150 hp version will be released in the Chinese market in 2017. The shape of the body is impressive for the estimated cost, 4200/1760/1570 with a wheel base of 2555, according to initial reports. The interior of the car offers a selection of various styles, with a sports steering wheel and a double-DIN space for an Android-powered front-up display, according to some reports from China. A car dealer familiar with the Chery brand, who asked not to be named, said they have had steady sales through the past few years and are pushing ahead with their plans to grow their market share. The Iranian company previously revealed the updated MVM X33 SUV on September 10, at an event in the Iranian capital Tehran. The X33 will cost 748,890,000 rials ($21,396 at market exchange rate) while the price for a sport variant of the same car has been announced at 768,890,000 rials ($21,968), reports Financial Tribune. 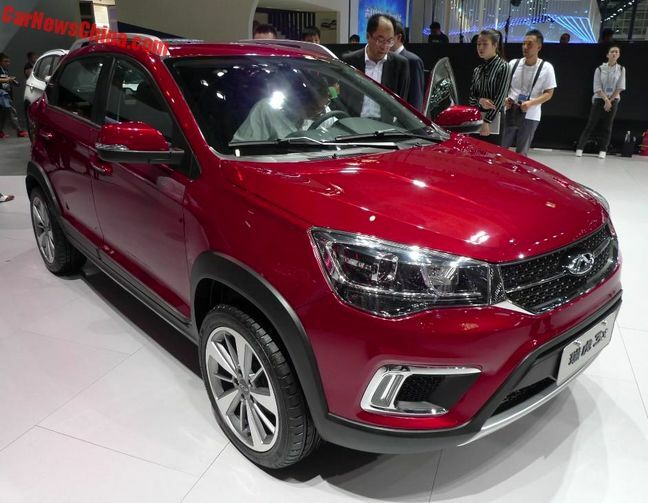 The X22 model is aiming to take on a raft of other crossovers in the market, including the Dongfeng C30 Cross, currently produced by IKCO, Lifan’s X50 model made by Kerman Khodro and the Ssangyong Tivoli, all of which fall in the 600-890-million-rial price range. The Chinese-Iranian partnership is pushing ahead with plans to take on the traditional manufacturers by offering attractive payment schemes on the vehicles. According to its website, Mvmco.ir, it now offers a range of payment options allowing people to pay half the value of the car upfront and the rest over an extended period of time. MVM also claims to offer track drives with their latest models. It remains to be seen how many vehicles the car company intends to produce/sell, but considering the vehicle will be produced in the country as opposed to imports like its Tiggo club-mate, its reasonable pricing could further fuel the rising interest in large high chassis vehicles that Iranians are increasingly buying.